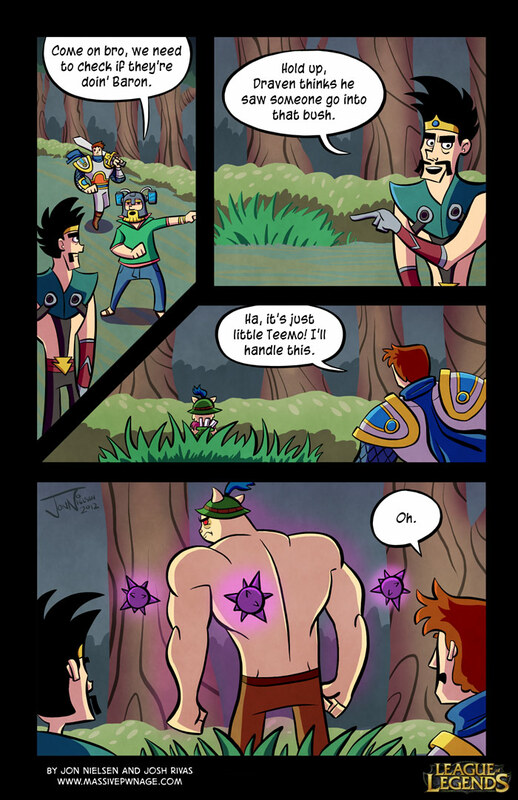 The sequel to our original Garen/Teemo comic! Teemo’s team has gotten the Baron buff and now the tables have turned! This is our entry into the League of Legends Comic Contest. Wish us luck! 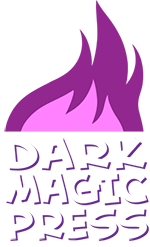 This entry was posted on Wednesday, August 8th, 2012 at 12:00 am and is filed under Comics. You can follow any responses to this entry through the RSS 2.0 feed. Both comments and pings are currently closed. That Baron buff looks a little off. Why aren’t you drawing Draven’s ponytail? I stared at it some more and is that it draped over his shoulder? I never knew what that was haha. Oh well. I feel like Off to See the Nexus would have been a better submission, could not stop laughing at that one. But they have too many rules so dshdgjadgajsdgweqjh. Yeah, had to use their template. That’s fine though, I like this one too.